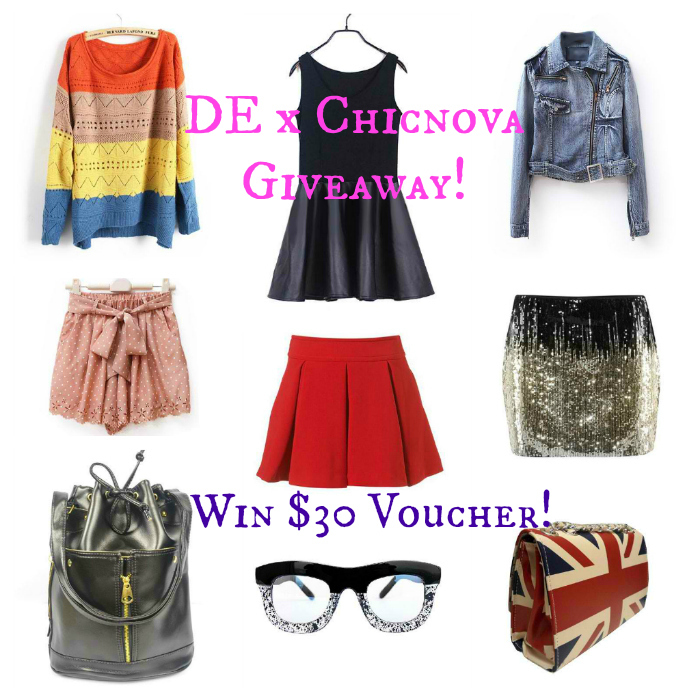 Round 2: Win $30 Voucher from CHICNOVA! This giveaway is long overdue so I'm making this quick. One of you could win $30 voucher from CHICNOVA! Chicnova is an online shop that sells chic and stylish clothing. They have so many pretty clothes and accessories so don't miss out. I'm using my old poster (no time to make a new one hehe). "I want to win a $30 voucher from @chic_nova & Aisa Ipac! Click and RT: http://goo.gl/HDjVG"
5. Leave your Name, Email you used to register, URL of your post below. Contest ends on July 9, 2013. You have 1 week to join! Goodluck! I hope I win! Crossing my fingers and toes to the highest level.